Headphones There are 6 products. PN: 2202100.....MSRP $99.95 OUT OF STOCK, WILL BE AVAILABLE AGAIN SOON! Take your Detecting to the next level! 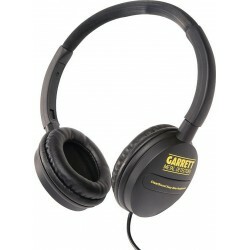 These headphones are compatible with the AT PRO, AT GOLD, ATX, INFINIUM, and SEA HUNTER II Metal Detectors. - Waterproof to 200' Ordering just one or 2 items under $100? Send us an email for estimated shipping cost. 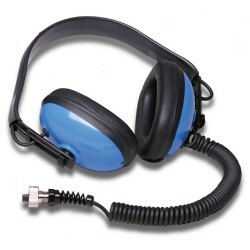 Includes:WT-1 wireless transmitter WR-1 wireless receiver Two USB charging cables 1/4" headphone jack cable Mounting band Carrying casePlease Note: The 2 Pin AT Connector cable is not included. 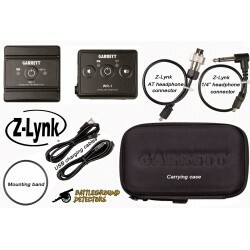 It allows the Z-Lynk to be used with the AT Pro, AT Gold and ATX. 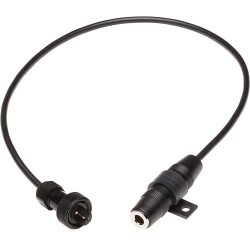 Need a Z-Lynk with the AT connector cable? Then click here. 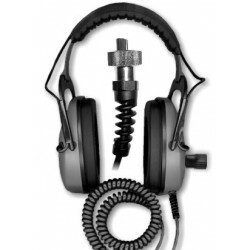 Wear your favorite 1/4" jack headphones without being attached to your metal detector. 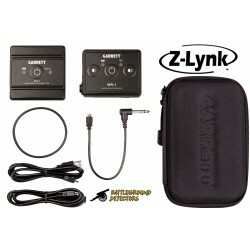 This package includes the Z-Lynk wireless system along with the 2-pin AT Connector cable, which allows you to use the Z-Lynk on an AT Pro or AT Gold metal detector.